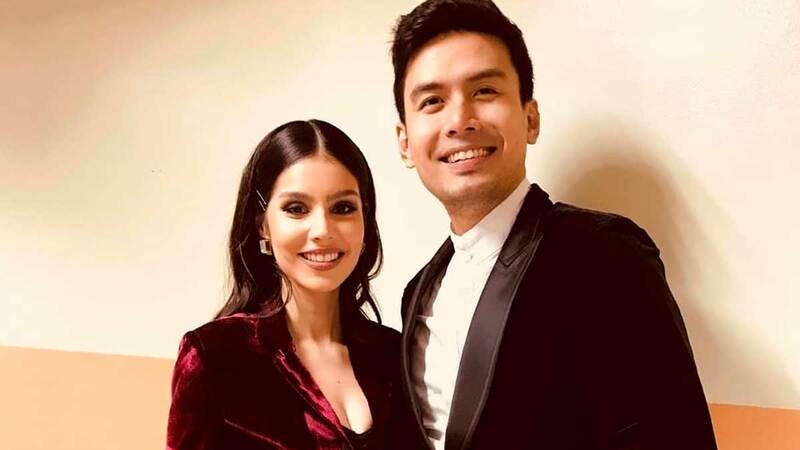 Christian Bautista and Kat Ramnani have nothing to hide from each other. Both believe that trust is an important factor to make a relationship smooth sailing. Kat does not mind if her fiance makes calls or sends text messages or even views her photos. She explains, "My phone is an open book to Christian. He wants to look at it, I don't have anything that he shouldn't be seeing. "So, for me, it's an open book, but I can definitely understand why some people wouldn't feel the same way. "Not everyone is the same. And I would definitely understand if he felt that way. It's always an open discussion. "As of now, both of us, if our phone's there, 'Hey can I use your phone to make a call?' Not an issue, not a problem." The telecom executive adds, "For us, it's a non-issue, but for other couples, if that works for you then it's fine as well. "It's not something that we're experts on. It depends on how you are as a couple." Meanwhile, Christian affirms that this set-up might not work for other couples. He tells PEP.ph during their exclusive interview, "There are two people na told me two different things, so it depends on what you guys want. "Merong ibang tao na meron pa ring pwedeng privacy sa bawat phone para you still have that sense of privacy para hindi ka masakal nang complete. "Meron naman yung iba, why would you keep a part of yourself from me when we get married naman, we're one already. "So, it depends on what works for you." At press time, Kat is keeping her phone away from Christian so that he won't see any photos of her wearing her wedding gown. "Same with him because we have surprises for each other during the celebration, so there won't be a chance for him to see it 'cause it's hidden in my phone." The lovebirds are set to tie the knot on November 17, 2018, in Bali, Indonesia.